Did you know? 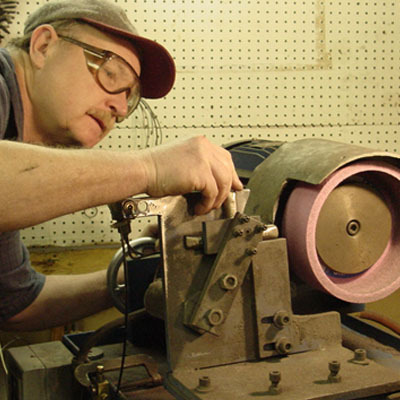 Your grinder knives and plates can be resharpened! Send them in and we will sharpen them for you. Once we receive your equipment, they are inspected to identify defects and checked for proper thickness for safe use. We then sharpen, resurface and again inspect them. Your own plates and knives are then returned to you. Number 12 Knife or Plate $5.95 each. Number 22 knife or plate $8.00 each. Number 32 knife or plate $12.00 each. Number 52 knife or plate $20.00 each. Send your plates and knives to: Michlitch Company C/O Don Vannoy, 130 North Stone, Spokane, WA 99207. Please Include Your Return Address And Contact Phone Number!